As you sail on our Baltic cruises, you’ll find there is something quite enthralling about the scenery in this part of the world. Gilded cities that cut majestic silhouettes across the sky. Forests that give way to cascading waterfalls. The Baltic landscape has been carved by the ocean and there really is no better way to visit this region than on a cruise. 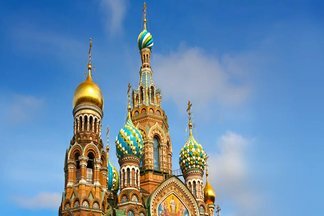 More delights can be found on Norway cruises and Russia cruises. The imposing towers and medieval streets of Gdansk, for example; Heyerdahl’s Kon-Tiki raft in Oslo and, perhaps one of the most inspiring sights, the extravagant collection of art found within the walls of the Hermitage in St. Petersburg. The Baltic opens up an ancient world. Harking back to their Viking ancestry, the residents of the Baltic thrive on ocean life, fresh fish abounds in local restaurants, fishing vessels line the shore and yachts moor in the marinas. Why go on a Caribbean cruise holiday? Because, once paradise has been discovered, it can never be forgotten. The Caribbean, with its sugar-soft beaches, turquoise seas and gently swaying palms, is one of the world’s best-loved holiday destinations. 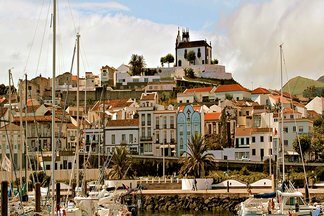 Ashore, choose between bustling local markets, or escape it all on a seemingly endless, deserted beach. On board, tropical themed party nights will bring you dancing under the stars as you cruise to your next port of call. With so many beautiful and diverse islands, there is always somewhere or something new to explore. The Caribbean really is made for cruise holidays. From Barbados and Antigua to St. Lucia and Mayreau, a wealth of hidden treasures including historic harbours, lush tropical forests and characterful towns are waiting. One of the most spectacular regions of the world, many argue that the only way to truly appreciate the scenery of the Norwegian Fjords is to sail through them. We, of course, agree. 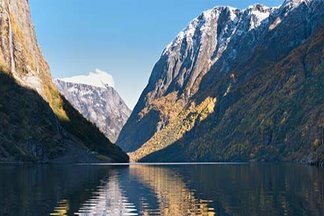 Fjord cruises offer more than any land based experience ever could.